so there´s kind of a love story between this jacket and me. i never found it on our tiny tiny Zara.. not even in Barcelona. or in London. so imagine my surprise when i saw it hanging on a lonely sale rack waiting to be snatched at 1/2 off the original price! That bomber jacket is really beautiful, love it! I couldn't resist to this jacket either, especially when I saw it on sale! You wear it so well, love it! Pretty cool look! Love your style! Stunning and Edgy! I like the jacket and those wicked shoes. Love the jacket and the boots! Ahhh you are bringing the Sam Edelman boots back! i love it! And that was perfect luck finding the jacket on sale! Oh these Sam Edelman boots!! Screaming Olsen! 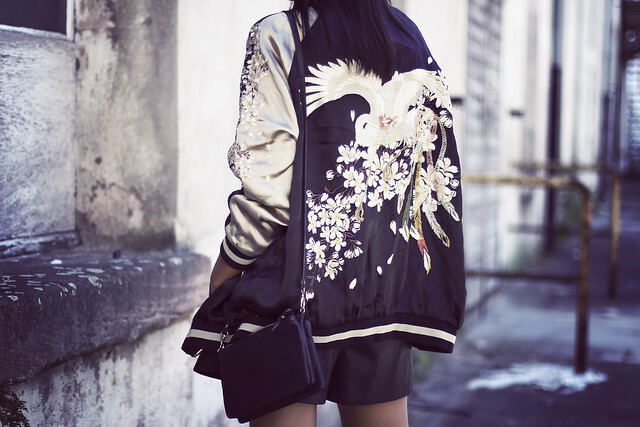 Love the look by the way ♥ The bomber is amazing ! spectacular! 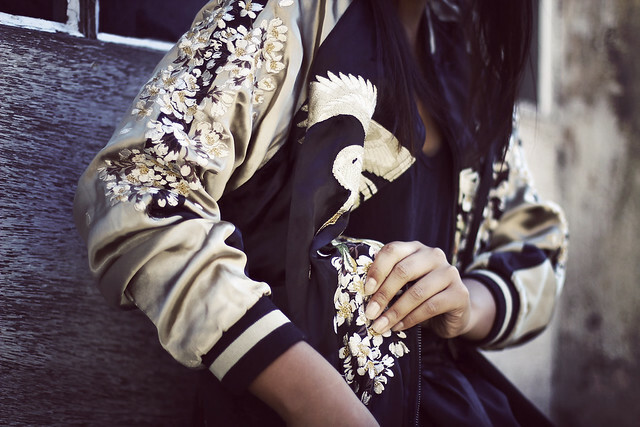 this bomber is so beautiful! aww, how perfect! That styling is amazing and the pictures are - once again - just perfect! Love the jacket! The picture on it is beautiful! Aghhhhh. The jacket is so beautiful!!! I'm in love. Wow I am in love with both the jacket and the boots. WANT. seems like it has waited just for YOU! looks gorgeous babe! Gorgeous! The bomber looks great on you! Ich lese dein Blog seit dem Beginn! Holy chic. I cant take it. youre so perfect. VACATION IS THE BEST MEDICINE.